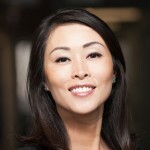 Suzanne Yoon is the Founder and Managing Partner of Kinzie Capital Partners where she oversees all facets of the firm’s investment activities, fundraising and operations. Suzanne launched Kinzie as part of a long-standing vision to better help unlock value for lower middle market companies. With over 20 years of first-hand, in-the-trenches experience in investing in and advising middle market companies, Suzanne has led and closed more than $3 billion in middle market deals and has walked alongside owners in their transition of growth, troubles and generational shifts. Prior to Kinzie, Suzanne was a Managing Director of Versa Capital Management, during which she received the “40 Under 40 Dealmakers” award from M&A Advisor in 2013. Suzanne also served as a Senior Vice President of CIT Group, co-founded LaSalle Bank/ABN AMRO’s Corporate Restructuring Group and held positions in distressed loan portfolio management and advisory at LaSalle Bank’s and Ernst and Young’s Corporate Finance and Restructuring Advisory groups, respectively. Ms. Yoon believes in the diversity of experiences and thought and civic engagement, and puts this belief into action through active board service. Past and current board service includes: National Philanthropic Trust, New Coast Foundation, Private Equity’s Women Investor Network (PEWIN), Women’s Association of Venture & Equity (WAVE), Turnaround Management Association (TMA) and American Bankruptcy Institute. She is active in Chicago community activities, including her service to the HFS Chicago Scholars Board, a not-for-profit organization that serves economically disadvantaged Chicago inner-city high school students by providing scholarships to private high schools and one-on-one mentoring. Suzanne received her Bachelors in Economics from the University of Iowa and is an Executive Scholar of Northwestern’s Kellogg School of Management.